I love sharing Etsy finds, especially if part of the proceeds are intended for charity. 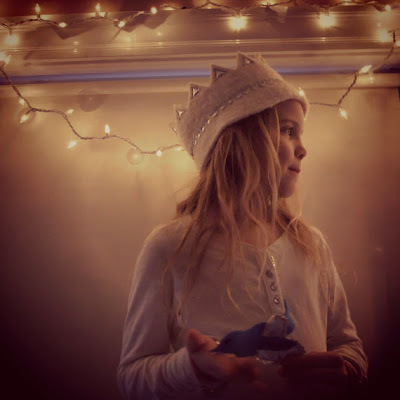 Scarlett Dalilaha, has created a Bluebird of Happiness Crown. For evert crown sold, she will donate $7.00 to GiveDirectly through GiveWell, an independent, nonprofit charity evaluator. 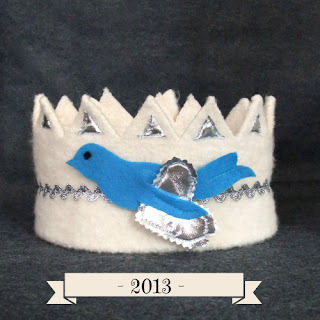 This crown is a limited edition and will only be available in the year 2013. In 2014 another Caring Crown will debut, along with another charity to which she will donate. The tips of the crown and the zigzag trim are silver metallic and make for a stunning display of sparkle. The bluebird carries under its wing a silver metallic heart, spreading happiness and love far and wide. Scarlet mentions on her Etsy page: "GiveDirectly, the specific charity that will be the recipient of our donations, distributes cash to poor individuals in Kenya. I was lucky enough to spend 4 months in Kenya while my dad was on sabbatical there. It is an amazing country. I am excited to be able to donate to the people of Kenya. I love that they give the money directly to the people in need, letting them decide how it is spent. Help us spread happiness far and wide. Purchase our caring crown and we will all soar". 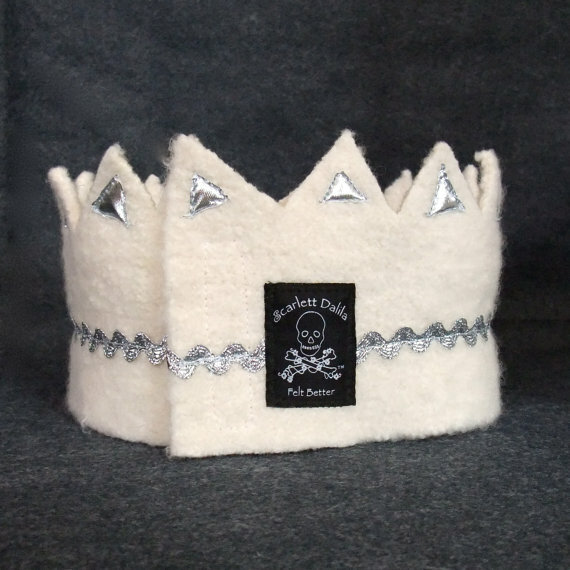 The crown is a long strip of thick felt that has velcro attached to one end making it fully adjustable. It will fit just about any size head. It is approximately 24.5 inches long and 4.5 inches from base to tip of crown. It is cream colored with silver metallic triangles accentuating the tips of the crown. It has a silver metallic zigzag running the full length of the crown. The bluebird has a velcro backing which makes it detachable so it can be placed anywhere on the crown or removed altogether.